Older adults who have been living in the family home for many years may want to reassess their lifestyle by asking some basic questions. Does my home fit the lifestyle I would like to have? Is my house just a big to-do list? Is there too much house to look after? 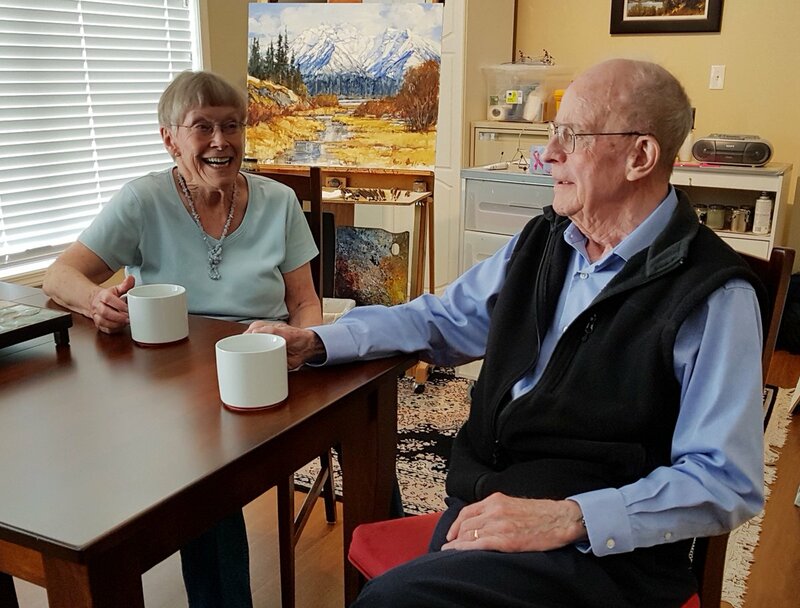 At some point in home ownership, we often consider downsizing to a condo or moving to an older adult community where almost everything is looked after. So you should ask yourself, “If not now, when?” The best time to think about making your life easier is when you can take the time to weigh your options and make the decision for yourself. 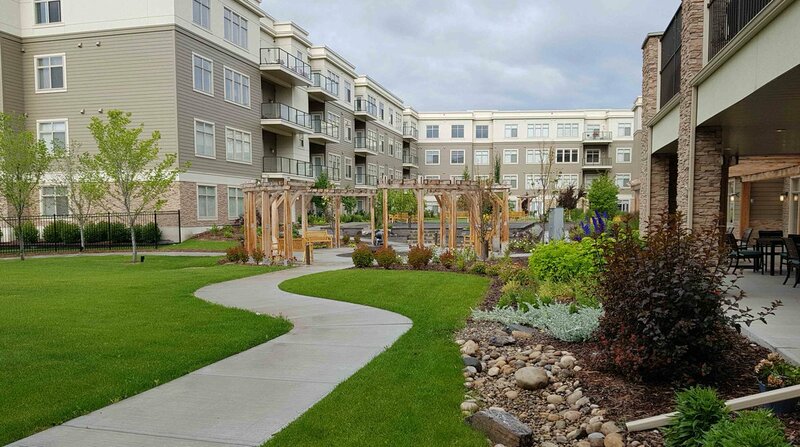 United Active Living’s Fish Creek West gives you a unique way to live your life without downsizing your lifestyle. United communities are nothing like the old nursing home. Everything is geared to the interests and likes of the residents. What you do is up to you. Enjoy your meals when you want and with whom you want. No assigned seating. Control stays in your hands. That variety of choices extends to the type of suite you choose. Fish Creek West is the first of its kind in Calgary. It provides you with the choice of elegant one bedroom, one bedroom plus den and two bedroom suites, some as large as 1,300 sq. ft. with many features beyond your expectations. No maintenance, no worries. Everything is taken care of. Plus, there’s a new world of opportunity in the adjacent 30,000 sq. ft. of high quality amenities. Fine dining, a casual bistro, theatre, art studio and a stunning outdoor courtyard dotted with sculptures, a water feature, orchard, bocce ball court and putting green are all available to you. In 2017, United invited the artists who crafted the courtyard sculptures to talk about their art and the process of creativity. Join an exercise, music or dance class. There’s yoga, meditation, a walking group and a gym. Afterwards, relax in the spa tub or sauna. 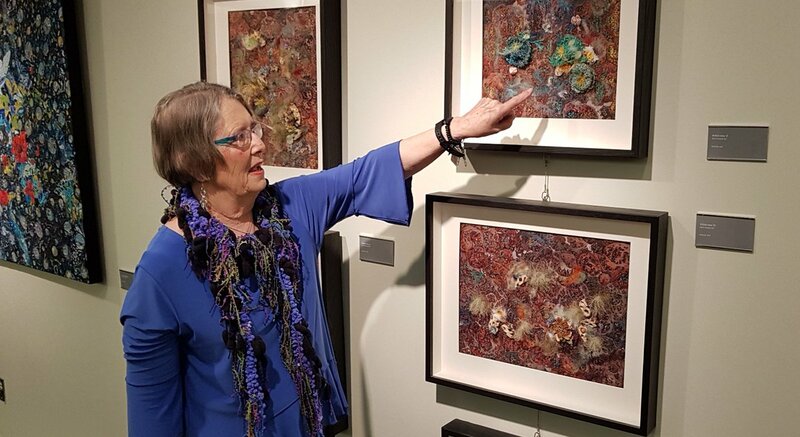 Most importantly, you have unlimited access to lifelong learning programs, art workshops, outings to galleries and a lot more. United’s signature Arts and Culture program features robust partnerships with leading arts organizations in the city. 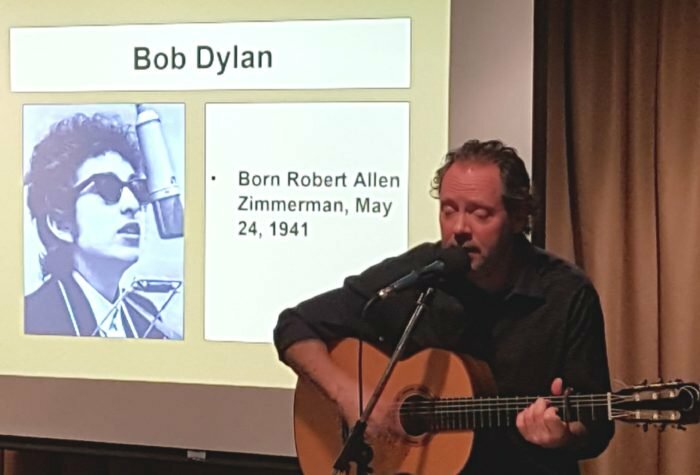 These partnerships not only bring residents to concerts and lectures outside of the Fish Creek community, but bring artists into the community for special concerts and workshops. 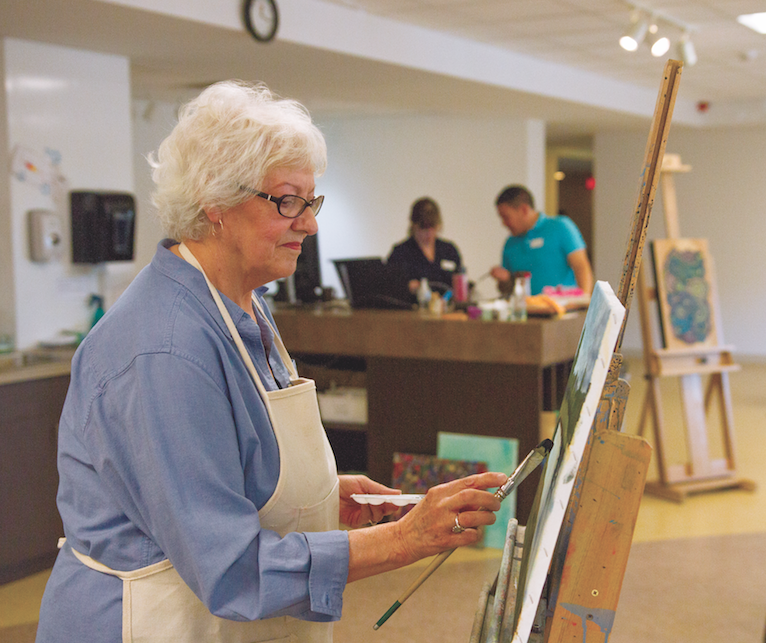 You can attend art classes guided by professional artists, hear lectures from visiting professors, choose from a variety of fitness programs or attend a concert by a world-renowned musician. The activities and programs available to you are endless. 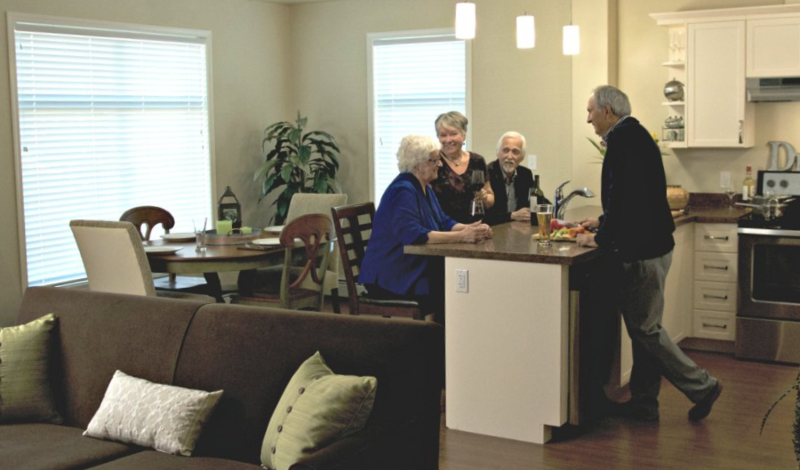 “Today’s older adults have higher expectations about where and how they will live in their later years,” said Kim O’Brien, president, United Active Living. “What we have come to expect in a traditional nursing home has been replaced by communities that offer more. 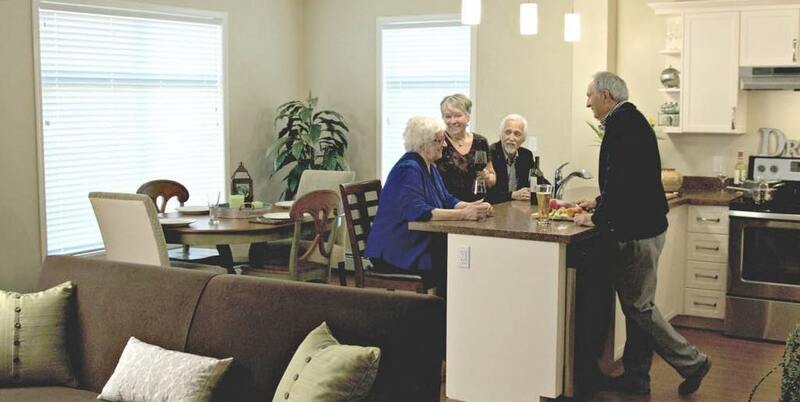 While the common expectation is that older adults will ‘age in place’, often the home a person has lived in for many years is no longer the best option for them. Instead, the focus should be on ‘aging in community’ where there is more support to ensure that a person ages well. Fish Creek West is hosting an open house Saturday, April 13 from 11 a.m. to 4:30 p.m. Let your friends and family know. We are happy to show you around and answer any questions you may have. RSVP at 403-471-3735, or by email at rsvp@unitedactiveliving.com. Or, if you can’t make the open house, simply click the “get in touch” link below, and we would be pleased to arrange a private tour at your convenience. Photos by United Active Living and Sherana Productions. Video by Sherana Productions.